So happy to invite you to our next Event on Thursday, April 25th, at a place in the heart of the city. Glad to come back to this place where we had a great night last time, LolaMento. Join expats and global minds from all over the world at our event, get to know new members and meet old friends. As always, remember that you can bring your friends but invite them to join InterNations first and to become a member. 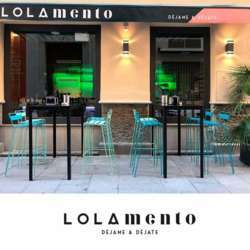 Hope to meet you all at LolaMento and to enjoy a nice and cool night together! !